Join Friends from all parts of the Yearly Meeting as we gather at Friends Meeting of Washington on June 15, 2019 to conduct the business of the Yearly Meeting. Overnight hospitality will be available on prior request no later than Friday, June 7. There will also be child care available for both the morning and afternoon sessions. This also must be requested in advance by the 7th. Registration for Interim Meeting will open in early May, 2019. The agenda for Sixth Month Interim Meeting will be prepared in May and early June. Childcare will be available, on prior request. See registration form. 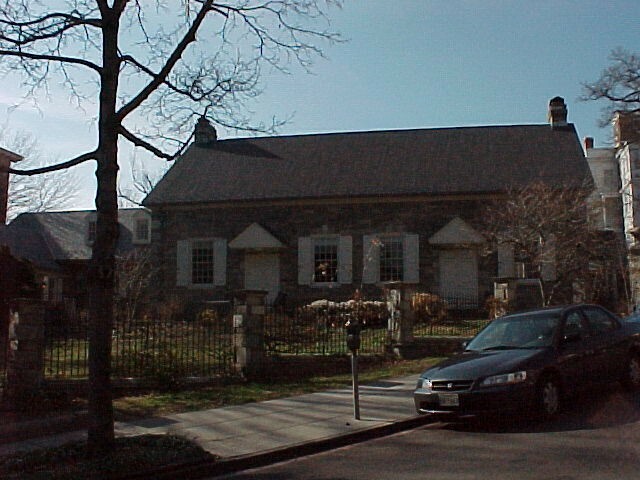 The Meeting House is in Northwest Washington near Dupont Circle. It is on Florida Avenue between R and S Streets and between 21st and 22nd Streets. The office entrance is on the Decatur Place side of the building. For detailed instructions, call the Meeting office between 8:00 a.m. and 4:30 pm weekdays or see the FMW web site. Click here for a Google Map and directions.